In this chapter we&apos;ll learn how to use AkashaRender to generate the XHTML, CSS files, and asset files used in your eBook. In later chapters we&apos;ll look into packaging those files into an EPUB. Generating these files in AkashaEPUB leverages AkashaRender and a couple plugins for EPUB-specific features. The AkashaRender model is writing files in an easy-to-write markup format like Markdown, processing the files with partials and templates, generating HTML, then packaging the HTML for the destination. Each destination has its own packaging and delivery considerations. With AkashaCMS the destination is a web server for display on web browsers, and for AkashaEPUB the destination is an EPUB ebook reader. In a later chapter we&apos;ll make a deep dive into the configuration files. Understanding this section requires a little preview of the Configuration object. There is only one RenderDestination directory. With AssetsDir, DocumentsDir, LayoutsDir, and PartialsDir, there can be and often are multiple directories, since each is an array/list. When AkashaRender looks for an instance of a given type of file, it searches each directory in the the corresponding list stopping on the first match. example.html.md A Markdown file, that produces HTML. example.html.ejs for HTML with EJS markup, that produces HTML. example.php.ejs for PHP with EJS markup, that produces PHP. example.html Straight HTML, copied with no processing. example.css.less A LESS file, that produces CSS. Hence, a RenderDestination file named css/style.css could either come from an AssetsDir file css/style.css or a DocumentsDir file css/style.css.less. Likewise, a RenderDestination file chapter2/install.html must come from a DocumentsDir file named either chapter2/install.html.md or chapter2/install.html.ejs or simply chapter2/install.html. You can use any directory hierarchy that you wish. AkashaRender creates in the rendering directory the structure you create in the DocumentsDir and AssetsDir directories. For the purpose of packing EPUB&apos;s, authors must remember the directory named META-INF cannot be used for your content. 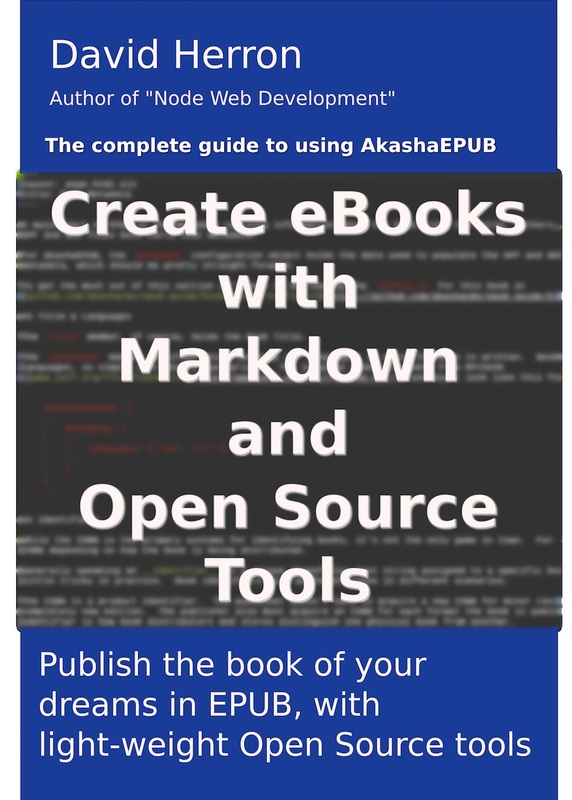 AkashaEPUB automatically generates that directory, because it has special significance to packaging EPUB files. Some files in DocumentsDir&apos;s render to HTML, depending on their file extension. These files use a fairly straightforward file format supporting metadata in addition to the content. The first part, between the --- lines, is the metadata, a.k.a. frontmatter. The rest is the content. The content will be rendered through the processing steps dictated by the filename. The metadata is used by the rendering process in various ways. The layout tag declares the layout template, and the title tag gives the page title, for example. If the file ends in .html.md the content will be treated as Markdown and rendered through the Markdown processor. 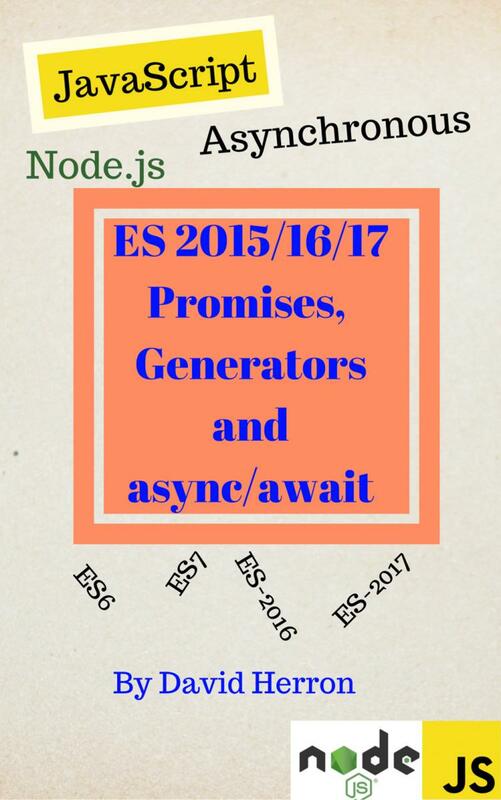 If it ends in .html.ejs the content will instead be rendered through the EJS template engine. causing many heads to be scratched. The metadata section is actually YAML ( https://en.wikipedia.org/wiki/YAML). Most of the time we&apos;ll simply use tag: value constructs in the metadata. But by using YAML, AkashaRender has the flexibility to use structured data when it&apos;s needed. Metadata comes not just from the frontmatter in the content document. The configuration file can declare metadata as well. The metadata is carried alongside the content all through AkashaRender&apos;s processing. The purpose of the metadata is to either instruct choices made at different rendering steps, or to provide data that&apos;s rendered into the document. An example of an instruction to the rendering process is the layout metadata tag. It tells the system the layout template to use for the final rendering. Depending on the value in layout one template file or another will be used. That choice determines the final rendered output. Some rendering modules can inject the metadata into the rendered document. For example, with the EJS template engine every metadata value is available as a variable inside the template.